Holiday Inn Pattaya has a glittering reputation. Not only for excellence but also for immense affordability. Holiday Inn is luxury in in Pattaya. When we discuss quality hotels in Pattaya that offer the most upscale and convenient experience for visitors of all kinds, the Holiday Inn Pattaya has a glittering reputation. Not only for excellence but also for immense affordability. 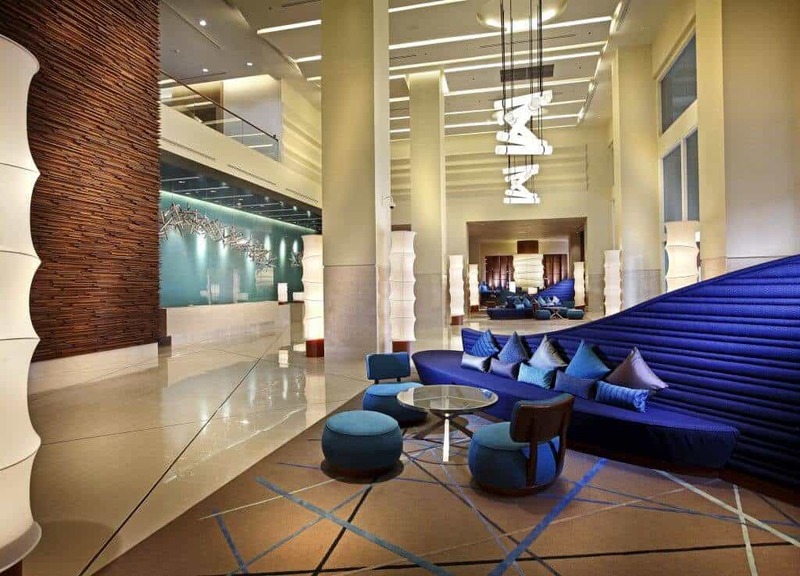 Holiday Inn merges luxury, modernity and a picture-perfect location in the heart of Pattaya Beach Road. This excellent hotel does elevate a holiday in the city to the state of eternal Nirvana. 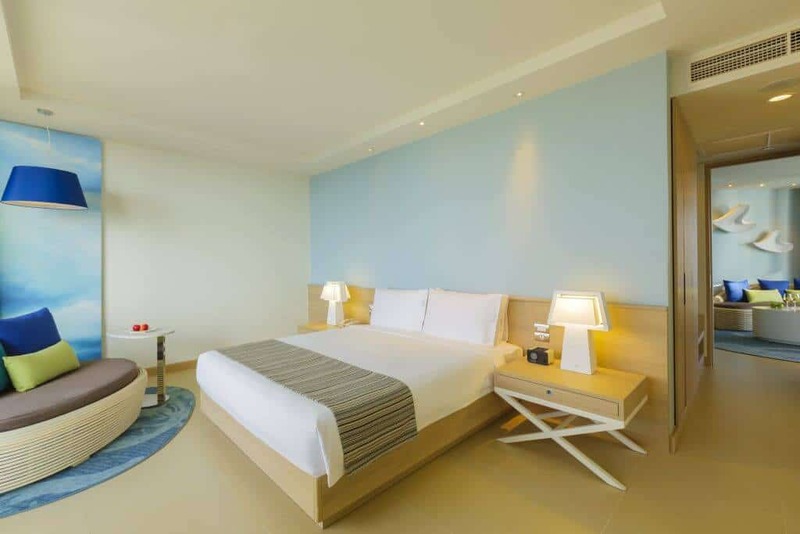 The Holiday Inn Pattaya is a large and comfortable four-star chain hotel nestled amidst the exciting and breath-taking Pattaya city. This stylish 26-storey hotel enjoys an enviable location in Pattaya and basks in a prime position. The hotel is situated directly across from the beach and within proximity to all the restaurants, shopping options and nightlife to compliment this holiday-of-a-lifetime. The hotel has a wide range of luxurious and stylish rooms and suites that appeal to all manner of people with varying expectations and budgets. 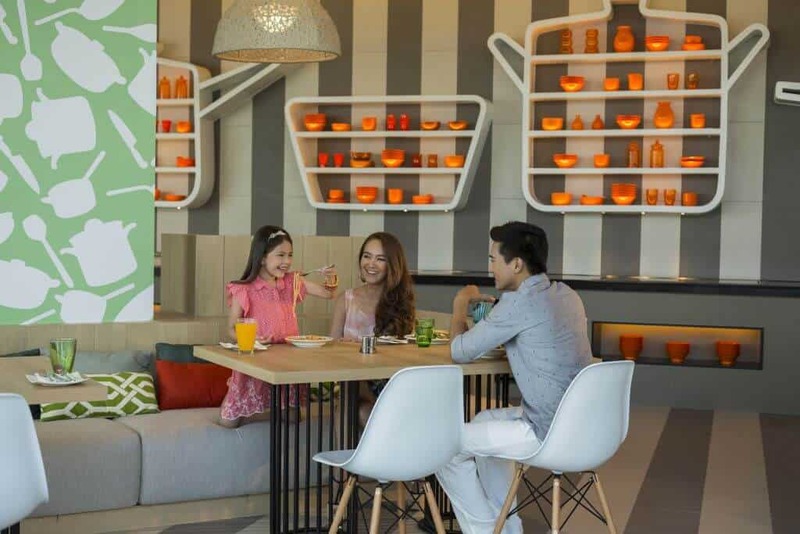 The Holiday Inn Pattaya accommodation options offer a very modern, family-friendly and inviting selection of rooms and suites. The hotel comes equipped with 567 stylish and modern rooms that offer a bright, modern and elegant design, exuding style and panache. With a modern contemporary design, a chic interior with comfortable furnishings and a welcoming ambience, you don’t just stay in a Holiday Inn Pattaya room, you feel it at the core of your soul. 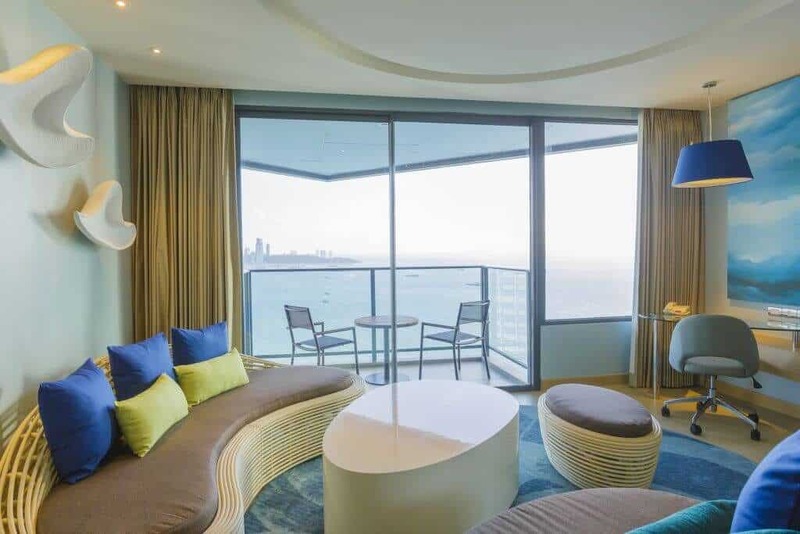 Each room has its own private balcony with majestic views out across Pattaya Beach and the Gulf of Thailand. 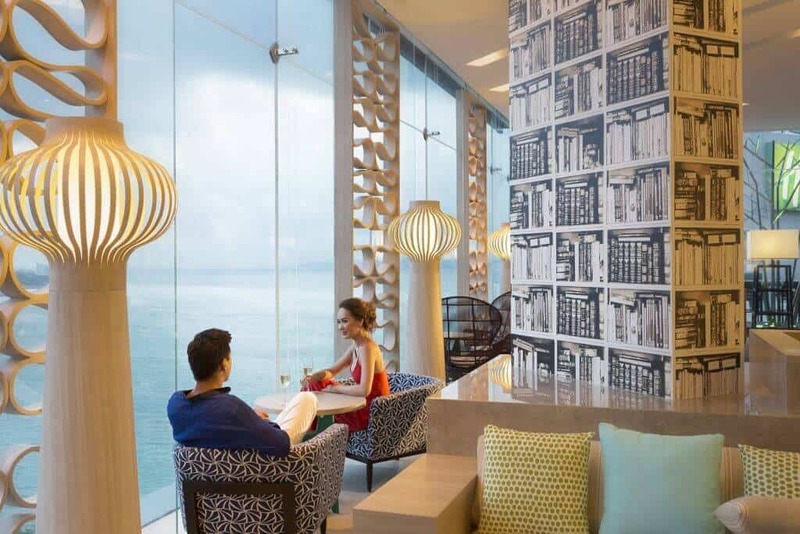 If you are looking for something a little more special, you can experience one of the 23 luxurious Holiday Inn Pattaya suites that offer individual lounge areas, dining rooms, ensuite bathrooms, kitchenettes and much more. If you are travelling with your significant other and your children, you can enjoy one of the impressive onsite family-friendly suites, which even comes with kids inspired beds in the shape of a whale. The family-friendly ethos also extends to the ‘Kids Eat Free’ promotion where, as the name suggests, no kids meal prices are added to your bill. All the rooms have amenities to elevate your experiences such as safe deposit boxes, minibars, complimentary tea and coffee, and extra creature-comforts such as bathrobes, slippers, and hairdryers. The Holiday Inn prides itself on its dedication to offering a family-friendly stay with some stunning children’s rooms that comes with games consoles. All the rooms come equipped with air-conditioning, flat-screen TVs and stylish bathrooms. The standard rooms have pleasant rainfall showers. Bathrooms with bathtubs are also available in all suites. When you need to find the most modern and stylish accommodation options in the heart of Pattaya that accentuates luxury, comfort and convenience, the choice of rooms at the Holiday Inn Pattaya is awe-inspiring. 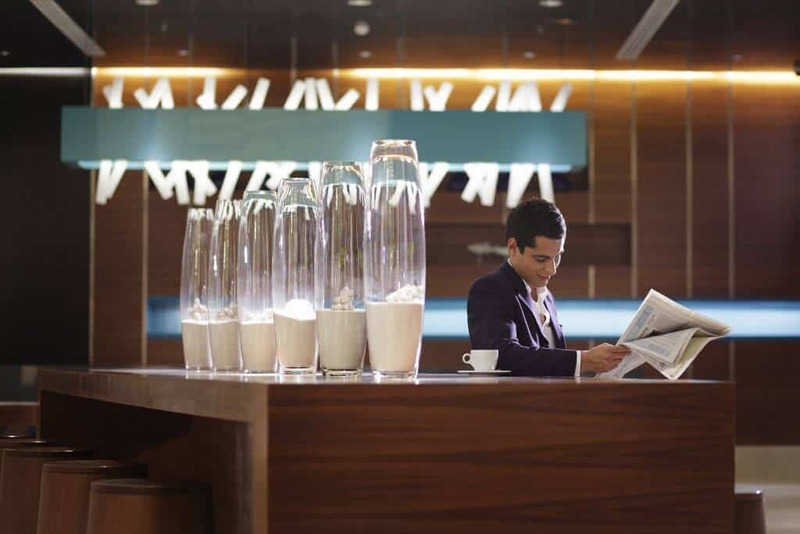 Although the prime position of the Holiday Inn attracts much interest, the hotel’s impressive repertoire of onsite facilities takes hospitality to the next level. 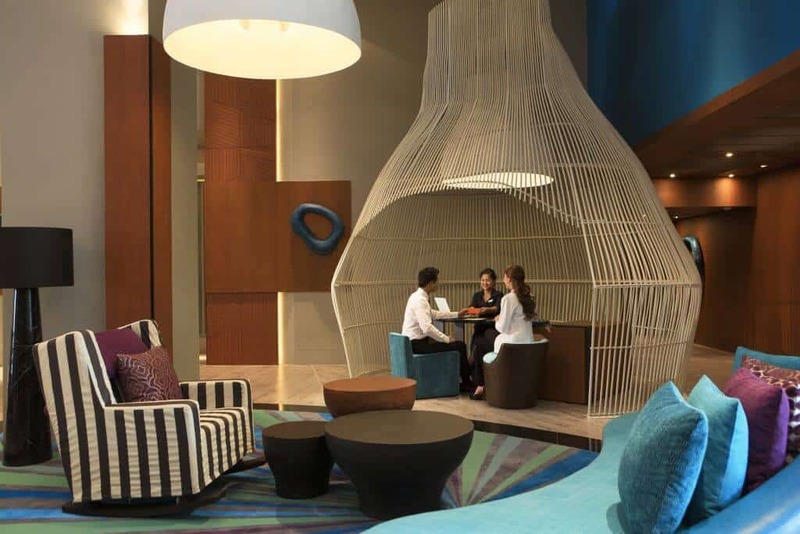 Whether you are visiting Pattaya on business, you are a single person coming here for a relaxing getaway, or you are a family on holiday in the city, the Holiday Inn’s first-class onsite facilities will compliment your whole experience. One of the decision-making components of visiting a hotel is to take advantage of the dining options on offer. 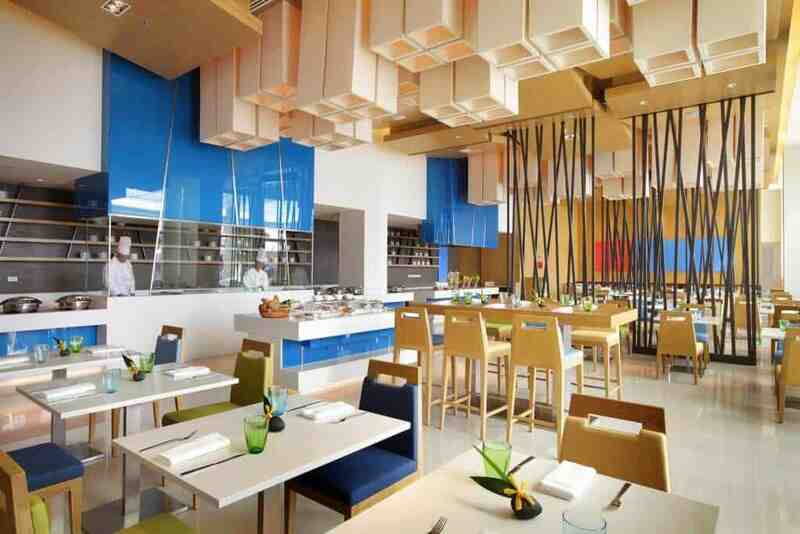 The choice of international cuisine options at Holiday Inn Pattaya merely is earth-shattering, with food styles from the four corners of the globe. There are five restaurants in the hotel, all with their unique characteristics and environments. From breakfasts and snacks to Thai food and expansive European-style cuisine and everything in between, the dining options at Holiday Inn Pattaya are immense. Come and experience the 5-star Café G on the fourth floor, serving an extensive breakfast range of local and international food, complete with live cooking stations. The lobby-level Flow Café is the ideal venue for light meals, snacks, and hot and cold drinks throughout the day, while Terrazzo is a more relaxed and casual outdoor Italian restaurant that is open for both lunch and dinner. 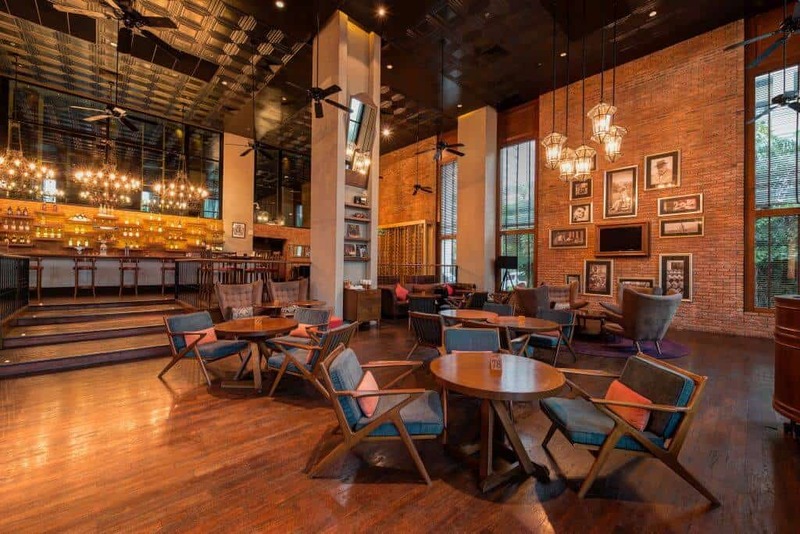 Bask in the retro Cuban-style Havana Bar that serves drinks alongside meals and snacks for lunch and dinner, while enjoying live music and a smoky selection of cigars. Other notable options include the stunning East Coast Kitchen that opens from the early hours until late, serving breakfast, lunch, and dinner, including a favourite barbecue seafood dinner buffet on Thursdays, Fridays and Saturdays. 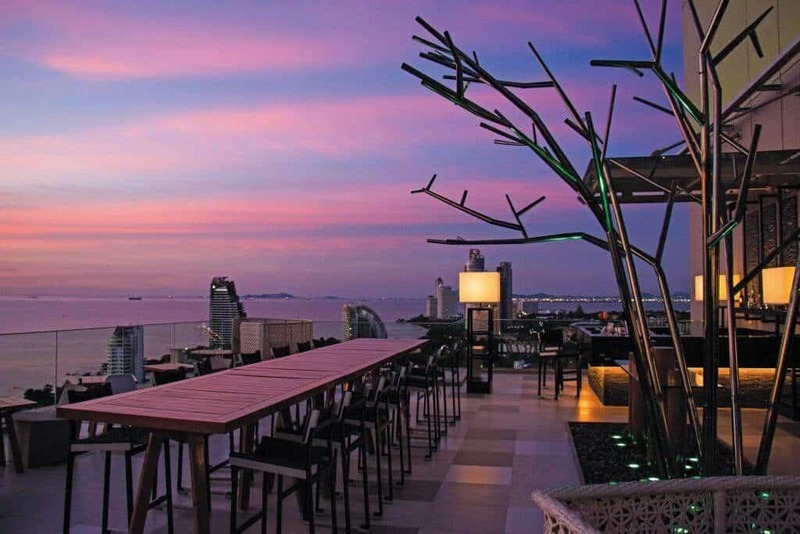 Come and enjoy a drink or a snack at the Splash Pool Bar or enjoy an exclusive meal at the Executive Tower Club with its roof-top bar with the most spectacular views out across the Gulf of Thailand. It is also important to keep active when on holiday, and with the impressive leisure facilities at the Holiday Inn Pattaya, you can combine a modern and healthy lifestyle, so you can enjoy yourself. Come and take advantage of the hotel’s four large swimming pools, which offer many options, especially with their integrated kid’s pools. Keep fit by visiting the state-of-the-heart fitness and health centre or recharge your batteries by visiting the sumptuous Tea Tree Spa and sauna to get the most from your experience. Holiday Inn Pattaya offers the perfect family-friendly experience with the supervised Kid’s Club, which will give the little ones something to do while you are relaxing at poolside. If you are on a business trip to Pattaya, the Holiday Inn is the ideal place to stay with its classy 24-hour business centre that offers internet access, alongside printing, scanning and copying services, which are all staffed in working hours. If you want to book a venue in Pattaya for a business event or a conference, their onsite function room, also known as the Ballroom, can host all manner of business meetings with a capacity of 500 people with nine further private function rooms with even more options. When you need to find a quality and prestigious hotel that is luxurious, welcoming and situated in a prime location to elevate your Pattaya experience, the Holiday Inn Pattaya is your ultimate choice.